Photos in this post were compiled from multiple sources. Credit should be given to Amiami News, Tendou Toys, Erasu, & Tokullector. As the event continues through the weekend, we’ll be sure to keep you up dated on any further reveals or confirmations on releases! 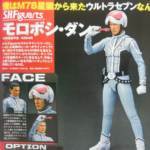 Hot off the heels of the Figureoh magazine reveal just a few days prior and ahead of the Tamashii Pick Up, Bandai’s just released the first batch of official stock photography for the upcoming release of S.H.Figuarts Ultra Seven! While these new stock images give no insight on any additional accessories, they do showcase several optional hands that the figure will be included with in addition to giving us a much clearer look at the figure in question. S.H.Figuarts Ultra Seven will be released March 2017 retailing for 5500 yen. 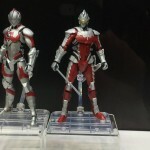 As the perfect follow up to the previously released S.H.Figuarts Ultraman, Bandai has just announced the released of S.H.Figuarts Ultra Seven! 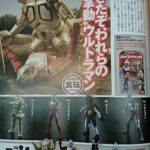 This announcement comes via scans from the latest issue of Figuroh magazine and S.H.Figuarts Ultra Seven appears to be a mass retail release. He’s currently slated to come out March 2017 with a price tag of 5500 yen. 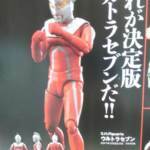 In the recent deluge of Figureoh magazine, Bandai’s announced that the small sized Shodo VS line will be expanding into the Ultraman series. 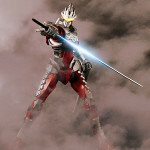 Shodo VS Ultraman Series 1 will include Ultraman himself, Ultra Seven, and two Kaiju to fight: King Joe and finally Zetton. Series 1 will be released this October 2016 each individual one costing only about 540 yen each.